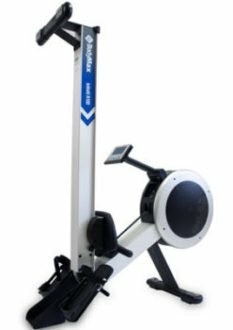 Does The Folding Bodymax Infiniti R90 Rowing Machine Offer A Good At-Home Workout? The Bodymax Infiniti R90 Rowing Machine is a folding machine that it designed to offer a good workout for any user. It offer automatic air magnetic resistance, 12 programs and a full stroke for taller users. It should be noted that there is a new model being shipped and these features and pictures are not always seen in sales pages. 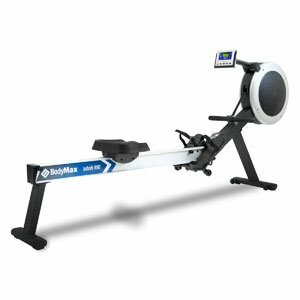 Does The Infiniti R100 Rowing Machine Showcase Those Years Of Research And Development? With 15 levels of magnetic resistance and 42 different workout programmes, the Bodymax Infiniti R100 Rowing Machine definitely sounds as though it can offer a challenge to any user no matter their needs. Furthermore, it has the added benefits of being foldable for storage and what Bodymax call a “full stroke for tall people”. According to the designers of this machine, “well over a decade of research and development went into making the Infiniti R100”. This is quite a bold claim that leads to some very high expectations of its performance and features: are buyers seeing this level of dedication in the finished model?